Wes Smith scored his 1,000th career point on the way to a 23-point effort in the Little Giants' 73-49 victory at Earlham Wednesday night. 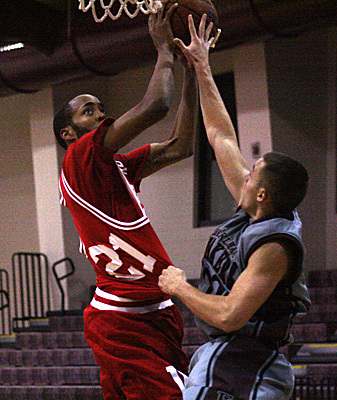 Smith moved into 21st place on the Wabash all-time scoring list with 1,014 points. Photos by Susan Albrecht.